Is Kelly Ripa leaving her home and career in the Big Apple behind for a new life in Los Angeles? That’s what her fans can’t help but wonder as there’s a new report that says Kelly’s husband Mark Consuelos is now living on the West Coast and he’s not looking to go back to New York City anytime soon. Reports indicate that Mark is apparently trying to persuade Kelly and their children to pack their bags to live with him in Los Angeles. But that might not happen right away. Kelly films her ‘Live!’ show in New York City every morning. Plus, their son Michael is only in his second semester as a college freshman. Kelly has long made it clear that she wants to be near her children. Yet, Mark Consuelos doesn’t want to leave L.A. either. But at the same time insiders say that Kelly might be able to convince ABC producers to move her ‘Live!’ show from New York City to Los Angeles. After all, she has more leverage behind the scenes, especially with all the drama that went down between her and Michael Strahan. In fact, even Mark believes that Kelly would be able to convince everyone to move the show to Sunny California. They can’t afford to lose her, especially since she’s the only host of the show right now. Still, many believe that Kelly is going to have to make a decision one way or another. Of course, no one knows what is really going on behind closed doors between Kelly Ripa and Mark Consuelos. Will Kelly pack her bags and move to California? Will their marriage survive if Kelly and Mark are living on different coasts? That’s what fans want to know. Kelly has not made any comments about a possible move to the West Coast. What do you think? Is Kelly Ripa willing to leave her life in New York City behind for a new one in California? Will ‘Live!’ survive without her? Drop us a line with your thoughts in our comments section below. Also, check back with CDL for all the latest news and updates on Kelly Ripa right here! 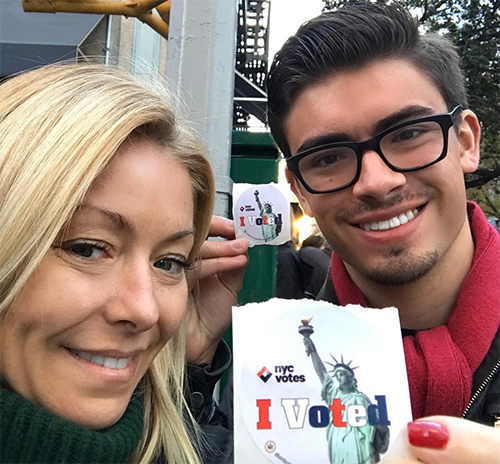 Kelly Ripa Plastic Surgery Confessions: ‘Live’ Co-Host Admits To Receiving Botox – It Was A Nightmare!